Coach Lily Tomiac can’t imagine her life without working out. She believes that making yourself fitter and healthier can make all the difference in the world. She has been CrossFitting for over 4 years now but she one day decided that, “I learned enough to be able to transfer my knowledge and passion onto others.” So she decided to become a CrossFit coach and hasn’t looked back since. 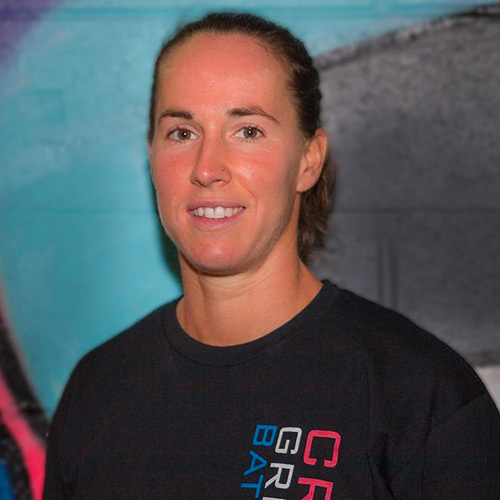 Although a coach in CrossFit, Lily is also a very skilled tennis player. Playing tennis for D1 school, Radford University on an Athletic Scholarship, Lily went on to receive a Coaches Award and a Team Captain Award. But one thing Lily is most passionate about is sharing her CrossFit knowledge with her members and getting to see them improve day to day. Her favorite quote is, “Dripping water hollows the rock, not by force but by constant dripping.” Which goes to show, just so long as you never give up, anything is possible.